The entry point for Homeward Bound’s adult services and for veterans is the Mill Street Center in San Rafael. For information about this emergency shelter program, please call 415-457-9651. 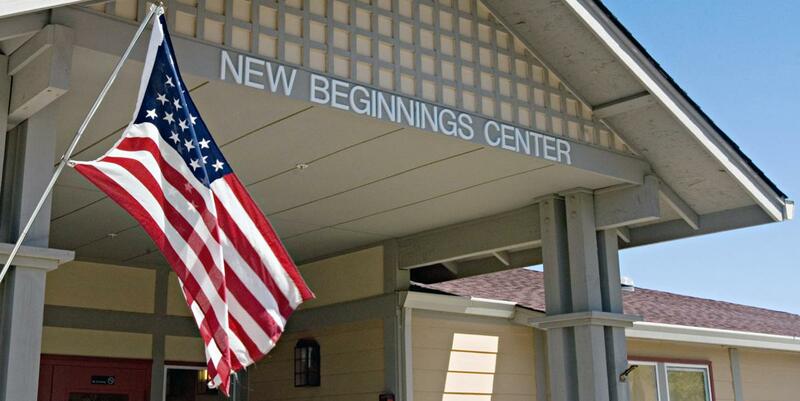 At New Beginnings Center in Novato, a “second-step shelter” with 80 beds, Homeward Bound reserves 16 beds for veterans. In a typical year, approximately 10 percent of homeless adults served by Homeward Bound of Marin are veterans. In the 2017-18 fiscal year, 88 veterans received services at Homeward Bound. Veterans who are homeless or at risk of becoming homeless can find help with a nationwide VA call center at 1-877-4AID VET (1-877-424-3838). Counselors are ready to talk to veterans at the National Suicide Prevention Lifeline at 1-800-273-TALK (1-800-273-8255 – press 1 for veterans). In Marin County, Veterans Service Officer Sean Stephens can help veterans connect with benefits at 415-473-6193. Our New Beginnings Center includes an office for the program known as HUD-VASH that links homeless veterans with housing options. For details, call the HUD-VASH representative at 415-382-3363 x238. 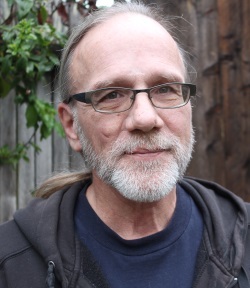 Gazing around his cozy home in Novato, Andrew S. says he’s happy with his peaceful place in the world as part of our Palm Court supportive housing program. The U.S. Army veteran says the location meets all his needs, being just a short walk from groceries, bus, bank and a local park. Due to a brain injury, his memory has become spotty and he wanted simple routes for his regular errands. Andrew spent years living outdoors in a tiny shelter on a ridge above Fairfax. “We never considered ourselves homeless,” he says, and he rejoiced in the nature around him. As he got older, however, Andrew’s health worsened and he descended to attend college and build a stable income but ended up living on the street with seizures, migraines and vision problems. Since coming to Homeward Bound, Andrew has reconnected with his family in Florida. “Homeward Bound and the people here saved my life,” he says. Watch our video of Andrew’s Story to hear more. 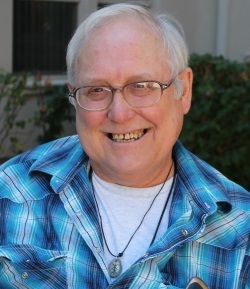 Now settled in a Novato apartment, Farrell S. spent eight months with Homeward Bound after he became homeless in 2009. He served in the U.S. Army, stationed in Alaska, Colorado, California and Germany before leaving the service in 1983. “I was hungry when I joined, so they let me become a cook,” Farrell jokes. His cooking skills proved useful as he later found work in bakeries during winter and fishing boats during summer, but eventually the jobs got thinner and finally stopped. “I lived on the sidewalk for awhile and then found out about Homeward Bound,” he says. The structured environment, counseling and resources available at New Beginnings Center helped him move forward; he qualified for disability benefits and found a small apartment. Farrell has maintained his housing for almost a decade and now volunteers with Homeward Bound to lead a knitting group at Warner Creek Senior Housing in Novato, where our staff coordinates support services. “No more sidewalk for me,” Farrell says.